At lunchtime, we can not help it: our eyes rule. More so than ours taste buds, the scent and touch. Sometimes, we are not even hungry, and when given the choice between two dishes, it only human nature that we choose the best looking one. Esteemed chefs, home cooks or beginners alike know that following a recipe is one thing, but actually executing it with precision and care is another. Today, we are going to take a look at some handy kitchen accessories that have been designed to add style and function to the space. These are everyday objects that will help us to improve our skills and what we present on the plate. Now, get inspired and take note of these designer cooking essentials! Studio Lievito designed these kitchen accessories with simplicity and nobility, and in a way that is reminiscent of our childhood. 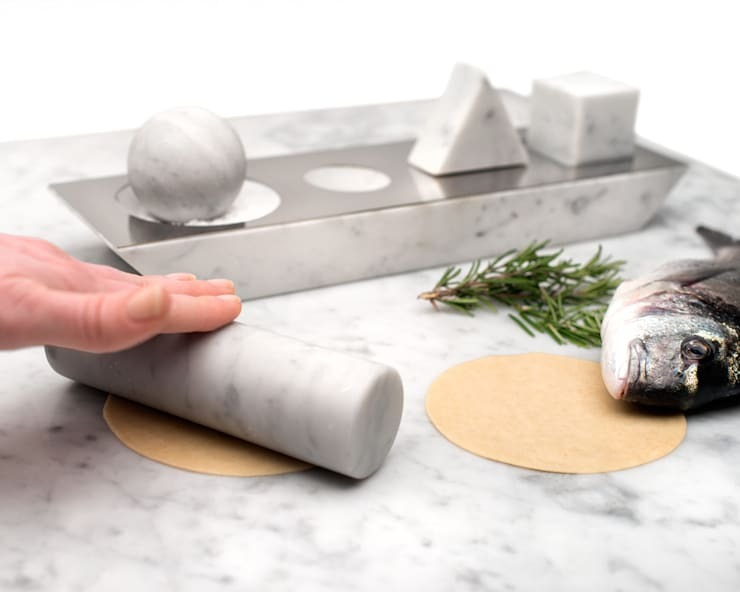 Elementare is composed of four pure geometric forms built of Carrara marble. 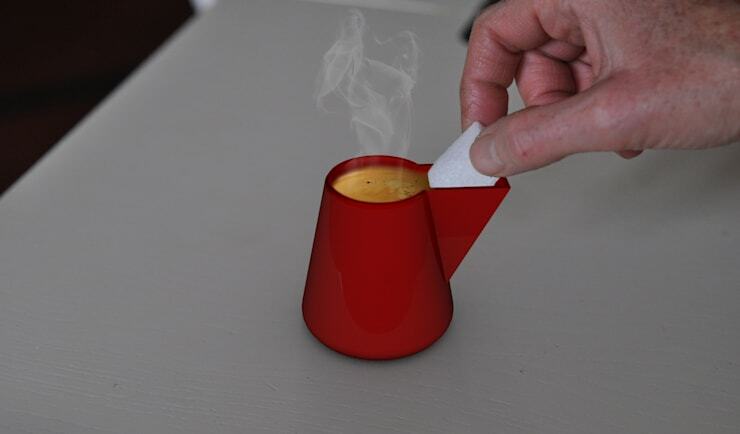 A cube, a sphere, and a cylinder allow us to experiment with food, and enhance our experience in front of the stove. These primary forms are kept in a stone base, which is always helpful to have them located within arms reach during our culinary adventures. Each of the accessories in this range have a specific function. 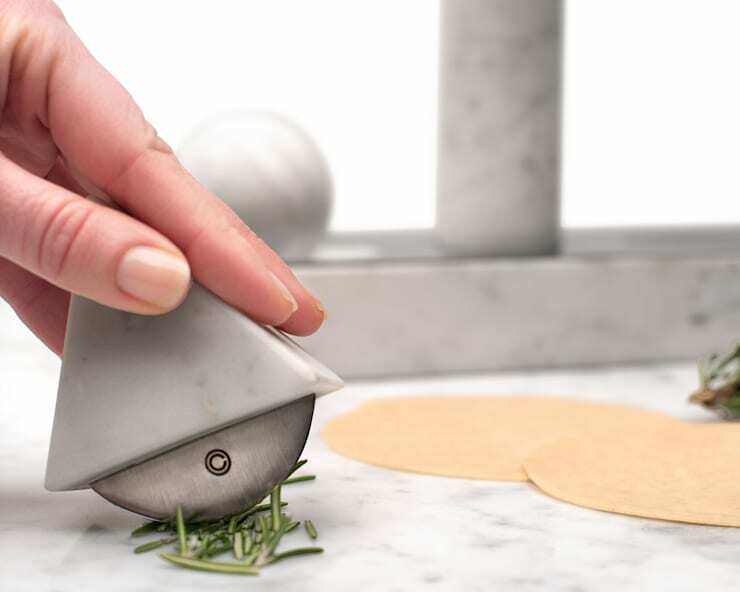 The sphere is used to grind or shred salt and pepper into small pieces ; the cylinder to knead dough for bread or cakes; the cube is used to de-scale fish; and finally, the triangular prism is used for easily chopping vegetables thanks to its sharp metal wheel. Coin—Coin was born of observations, is what designers have used as inspiration for this product. If you absolutely must have your morning coffee before and after lunch, you have unfortunately found that on occasion, you have lost half of the liquid when you place the sugar cube into the cup. If you are unlucky, you might find that your shirt or trousers has been splattered with a splash of coffee. Industrial designer Thomas Beauclair has designed a way for you to have your daily dose, or doses, of caffeine without any loss, and has proposed a mug with special functions to stop these accidents. Coin—Coin has experimented with its form, and has found a way to slip the lump to the bottom without splashing. Its handle hides a sloping channel through which the the sugar cube easily slide in. In its simplicity lies its beauty and intelligence. 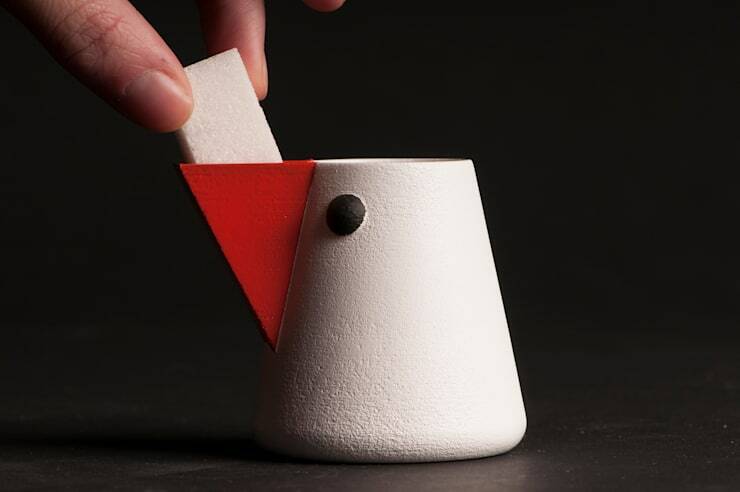 The cup is also completely customisable, and can be converted into the colours of, fore example, a little chicken. [Re]lait is a product used to serve and maintain the way we keep fresh milk. It has been documented that the best milk for your body, free of additives and nasty chemicals, is of course, the one straight from the teat. However, due to the lack of preservatives, the shelf life of such a product is no where near as long. 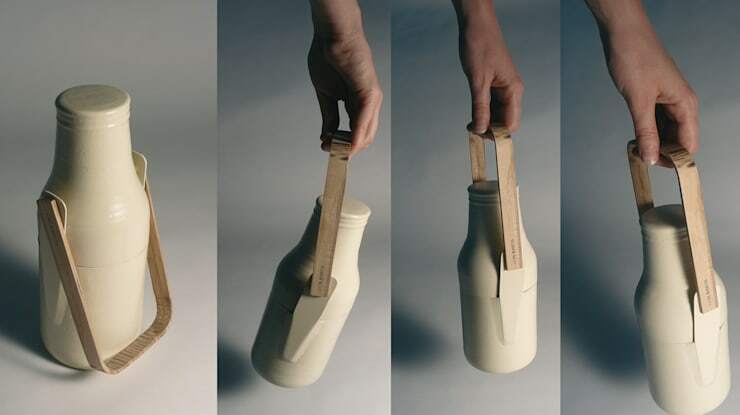 To come to our aid was studio L'accent Du M, who have designed a way to cherish and salvage the taste of pure cows milk that we remember from our grandparents or relative's farm. 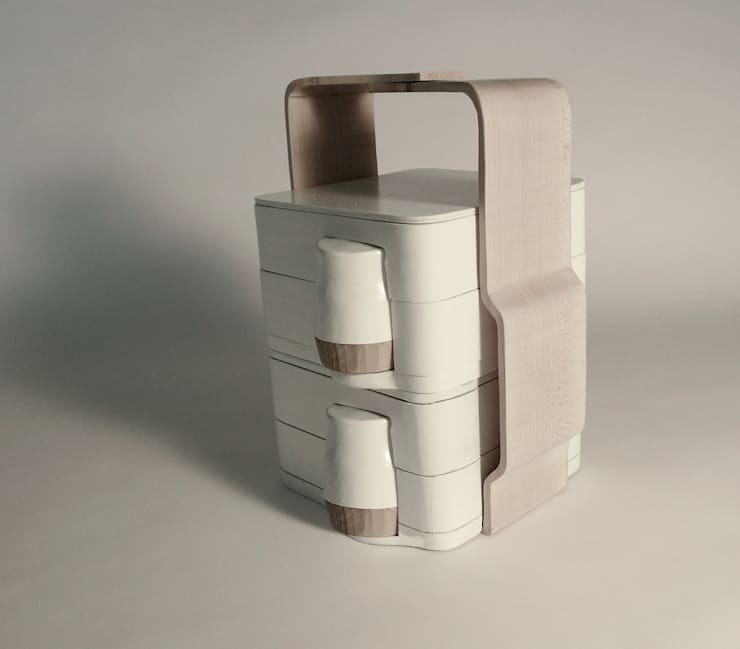 In line with the milk holder we just presented, from the same studio, is this nifty picnic box. If you love the idea of outdoor dining, then you will surely need one of these! Here, you will see one whole piece, that when disassembled, separates into ceramic tableware. It is easily transportable, and it is far more sustainable than using disposable plastic tableware that will clog landfill. To see more fun home decorating ideas, click here.